Should You Buy DHI Group Inc (DHX)? Hedge fund interest in DHI Group Inc (NYSE:DHX) shares was flat during the third quarter. This is usually a negative indicator. 17 hedge funds that we track owned the stock on September 30, same as on June 30. At the end of this article we will also compare DHX to other stocks including Flexion Therapeutics Inc (NASDAQ:FLXN), Natural Health Trends Corp. (NASDAQ:NHTC), and Bill Barrett Corporation (NYSE:BBG) to get a better sense of its popularity. How have hedgies been trading DHI Group Inc (NYSE:DHX)? At Q3’s end, a total of 17 of the hedge funds tracked by Insider Monkey held long positions in this stock, unchanged from one quarter earlier. 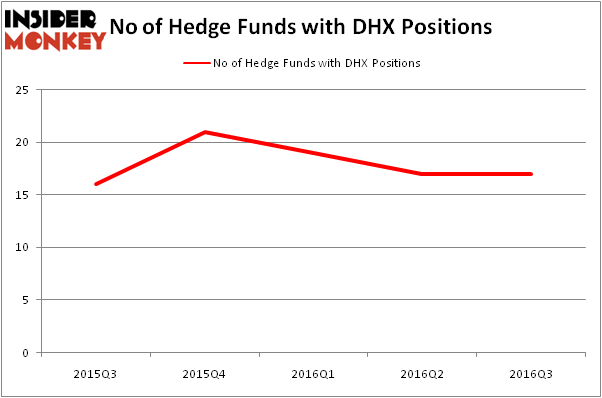 On the other hand, there were a total of 21 hedge funds with a bullish position in DHX at the beginning of this year, so ownership of the stock has fallen by nearly 20% this year. With hedgies’ capital changing hands, there exists a few noteworthy hedge fund managers who were increasing their stakes significantly (or already accumulated large positions). 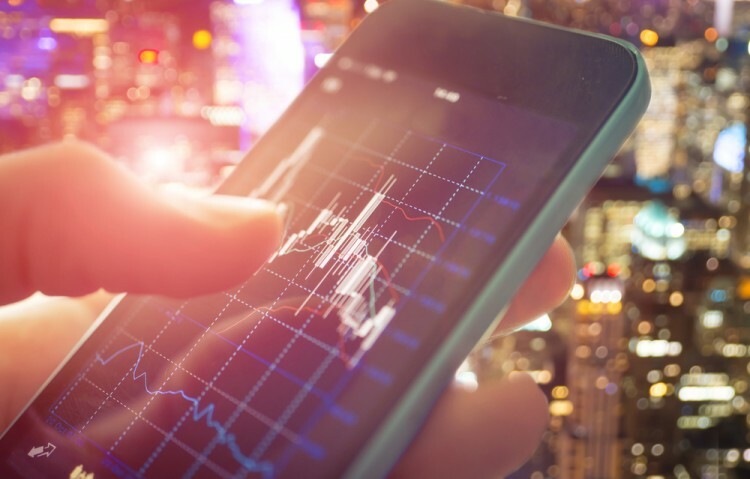 According to publicly available hedge fund and institutional investor holdings data compiled by Insider Monkey, Jim Simons’ Renaissance Technologies has the most valuable position in DHI Group Inc (NYSE:DHX), worth close to $8.5 million. The second most bullish fund manager is D E Shaw, founded by David E. Shaw, which holds a $5.6 million position. Other members of the smart money that hold long positions comprise Cliff Asness’ AQR Capital Management, Ken Fisher’s Fisher Asset Management, and Mark Wolfson and Jamie Alexander’s Jasper Ridge Partners. We should note that none of these hedge funds are among our list of the 100 best performing hedge funds which is based on the performance of their 13F long positions in non-microcap stocks. Is WebMD Health Corp. (WBMD) A Good Stock To Buy? Biotech Movers: Heat Biologics Inc (HTBX) And Achaogen Inc (AKAO) Infosys Ltd ADR (INFY): Are Hedge Funds Right About This Stock? Should You Buy BJ’s Restaurants, Inc. (BJRI)? How Big Lots, Inc. (BIG) Stacks Up To Its Peers Has Hedge Fund Ownership in Welltower Inc. (HCN) Finally Bottomed Out?